You’ve been there before. You went on this run thinking it’d be no sweat, but now your lungs are burning. You’re not sure your legs can carry you the rest of the way. Fortunately, there are healthy supplements to increase your endurance during a run. I’ll take you through the reasons to try a pre workout supplement and help you choose the best pre workout for running. A citrus flavored powder with a unique carbohydrate blend—enhancing during and post exercise results. 100 mg of caffeine from green tea/coffee, giving energy boosts without crashing. 5g of aminos assists recovery. Formulated with 7000 mg of BCAAs to enhance the growth of your muscles, assist with recovery and help replenish electrolytes. Includes beta-alanine—proven to reduce muscle fatigue, allowing you to exercise longer/harder and recover faster. Designed to be quickly absorbed by the body, allowing the 10 grams of aminos to provide fast-acting endurance. Why Use a Pre Workout Supplement for Running? Different types of exercise have different needs. Many pre workout supplements are meant for weight training or high-intensity routines. Runners don’t necessarily need the same high-energy boost at the beginning of a workout. Instead, it’s more important to take a supplement that helps you with endurance. The hardest part of running isn’t getting started, but keeping yourself going. 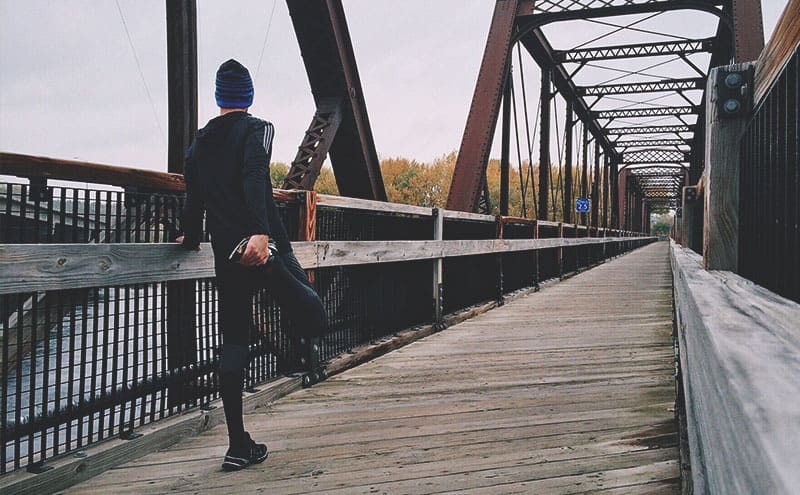 Running is tough on your body, so it’s not a good idea to go heavy on stimulants. Stimulants energize you for a brief amount of time but leave you feeling even more burned out when the temporary high fades. Fortunately, some nutrients can improve your body’s stamina and endurance. It’s important for runners to get carbohydrates, amino acids, and beta-alanine, all nutrients that improve endurance, and don’t just give a short-term boost. Carbohydrates produce glycogen, your body stores in your muscles. When you need the energy, your body draws on this glycogen store. Having enough glycogen gives the body a consistent source of energy without depleting your muscle mass. Beta-alanine works great in a pre workout regimen. However, you can take doses anytime during the day and still experience its benefits. Amino acids, especially branched-chain aminos (BCAAs), are great for endurance and toning your body mass. A study in the Journal of the International Society of Sports Nutrition tested participants in a resistance-training program. (source) Half of the participants took BCAA supplements while the other half took whey protein. The BCAA group showed greater improvements in muscle strength and fat loss, resulting in an overall leaner body mass. Another study examined body mass while participants stayed on a calorie-restricted diet. (source) Regular BCAA supplements helped active adults lose fat mass. However, individuals who didn’t take BCAAs lost lean muscle mass. Citrulline is another useful supplement which increases the flow of blood and your metabolism to prevent too much fat storage. Try to avoid caffeine or other stimulants in your supplement. Since most pre workout supplements contain some caffeine, look for those with small doses. Many runners opt for supplements without creatine. In addition to a few health risks for select populations, creatine doesn’t improve performance in endurance activities like running. Cytomax Sports Performance Mix is specially formulated for runners, especially long-distance running. It provides a steady source of energy without a post-stimulant crash. Sports Performance packs in the carbohydrates to fuel your muscles during a workout. Amino acids and other essential nutrients delay the onset of fatigue. A blend of electrolytes is present to replace sodium, potassium, and magnesium lost through sweat. Sports Performance uses multiple carbohydrate sources, including glucose, fructose, and alpha-l-polylactate. Alpha-L-polylactate helps balance the pH levels in your blood by preventing the buildup of lactic acid. There is a modest amount of caffeine, but it’s small enough that you should only feel a slight boost and none of the adverse effects like increased heart rate. Optimum Nutrition is a well-established company in the field of nutrition and supplements. They own their production facilities, so they control the quality of their products from start to finish. All of their factories are GMP certified. 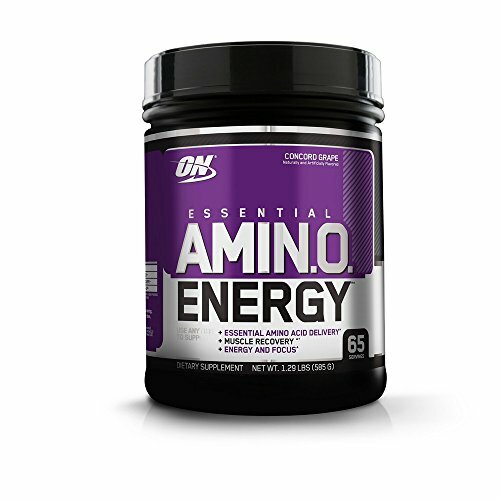 Amino Energy specializes in the areas of endurance and muscle recovery. They pack in both branched-chain and free form amino acids to provide a natural boost. Although the product does contain caffeine, it’s a moderate amount. Several ingredients work as a replacement for creatine and have the same energy-boosting effects. Green tea and green coffee bean extracts are two of their most prominent natural ingredients. Amino Energy raises your stamina and blood flow using l-glutamine, citrulline antioxidants, and electrolytes. 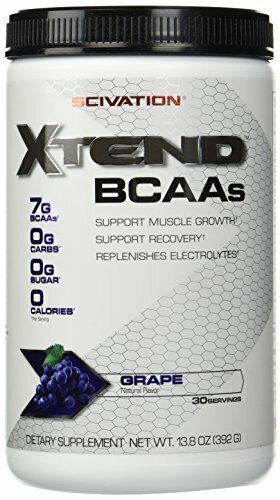 Scivation’s Xtend is a simple pre workout supplement that focuses on branched-chain amino acids. The leucine to isoleucine to valine ratio is 2 to 1 to 1, following the natural ratio found in muscles. It has none of the caffeine or nitric oxide boosters which are standard for many other pre workout supplements. However, its simplicity makes it an ideal supplement for running. Since it isn’t packed with artificial ingredients or stimulants, Xtend is easy on an empty stomach and works well before long-distance runs. The Red Leaf Pre Workout Energizer is full of beta-alanine, BCAAs, and several natural ingredients that will leave you feeling great. Antioxidants from green tea and cranberry (which is also the supplement’s natural flavor) give an added nutritional bonus too. This supplement boosts your energy and extends endurance. It does include a mild dose of caffeine, but it’s nowhere near the amount that some pre workout supplements pack. Arginine and L-Glutamine also encourage recovery after your workout. 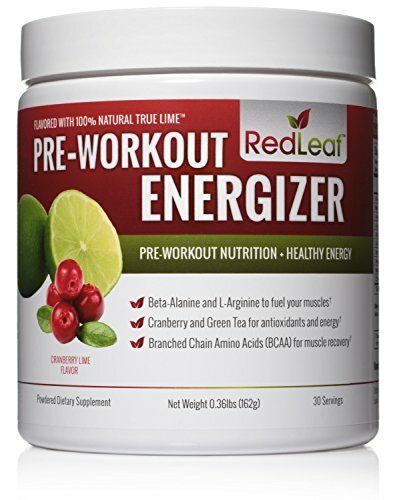 Red Leaf’s Pre Workout formula uses only high-quality ingredients. It’s manufactured in a GMP-certified facility. They use no artificial coloring, maltodextrin or any carbs at all. 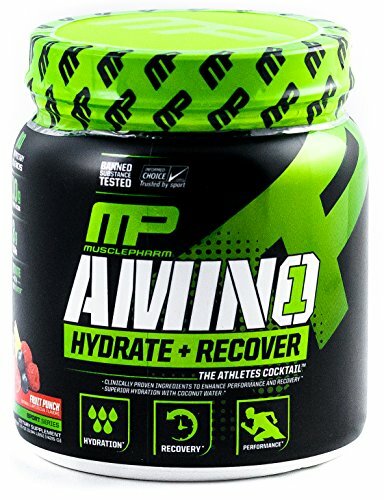 As you can tell from its name, Muscle Pharm Amino 1 is an amino acid based supplement. It doesn’t include creatine or caffeine, making it ideal for runners. The formula is easy for your body to absorb quickly, allowing your muscles to grow and recover, even during a run. Amino 1 has a whopping 10 grams of BCAAs in every serving. They use a 3 to 1 to 2 ratio, with higher percentages of leucine and valine than most pre workout supplements. It’s packed with healthy nutrients too, including electrolytes for hydration and citrulline malate. It helps nutrients reach all areas of your body and boosts nitric oxide levels. 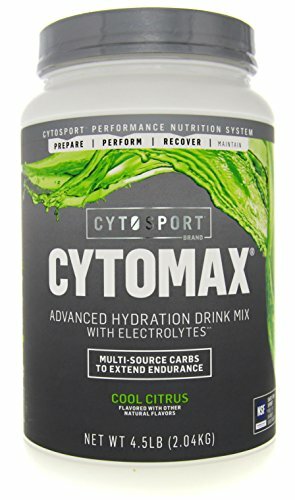 Cytomax Sports Performance Mix is my top pick for the best pre workout for running. Cytomax increases endurance with a focus on carbohydrates, while still including a healthy amount of amino acids, including BCAAs. It does use caffeine for a boost, but in a small quantity than many competitors. Sports Performance also has health-boosting ingredients to increase your performance and the quality of your workout. L-glutamine and L-alanine encourage muscle growth and recovery, while a blend of electrolytes helps you stay hydrated on long runs. Sports Performance is a reasonably priced, healthy boost to take before your workout. BCAAs vs Creatine, Which One Should YOU Take? What Are the Best Stimulant and Caffeine Free Pre Workout Supplements in 2019? What Are the Best Pre-Workout Supplements for Beginners in 2019? What Is the Best Pre-Workout Without Creatine?